The Celtic Society of the Monterey Bay (CSMB) had its origin in 1989 when Tam Paterson, then host of 'The Eagle's Whistle' on KAZU, announced a meeting at The White Cockade in Boulder Creek for those wishing to form a Celtic Society. About a dozen people showed up. Get-togethers at various private residences followed with local musicians providing entertainment. 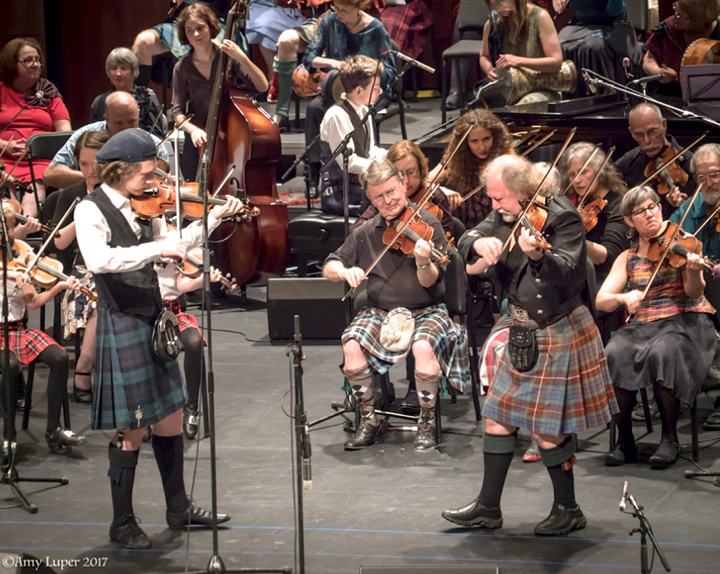 The real “heart” in the formation of the CSMB was inspired by local musicians and their followers, who had nowhere to showcase their talents, and – in their undying love of the music, and Celtic tradition, wanted to share it with others. After several years of playing sessions, and house concerts and the odd booking, they decided to officially form a group who could promote the Celtic Culture around the Monterey Bay, and start running folk clubs in the area, with the express intention of making Celtic music a household name. They did everything legally, and the name Celtic Society Of The Monterey Bay was registered and a bank account opened, with money donated by enthusiastic supporters . The people behind the movement back then really deserve a mention in the grand scheme of the formation of the society for who knows, without their input, the CSMB might not exist today, as the great success it has become. Initial President was Brid Caveney, a multi instrumentalist musician who had played extensively in most of the Celtic Nations of the World, before moving to California in the early 80’s.The very first ever Celtic Society newsletter was sent out from the Caveney household – in Marina CA, by his wife Bronwyn, who was at the time working for a printing firm – who sponsored the project. It appeared in the Spring of 1991 where it was announced, "our aim as a Society is to keep alive Celtic tradition and promote same in the community." It was also noted in the first newsletter that monthly sessions were being moved to The Elkhorn Yacht Club in Moss Landing. Other “officials” at that time were Suzanna O’Sullivan, who took on the treasurer’s job. Her (then) husband Jimmy played the highland pipes, and there was an incredible depth of local musicians who helped get the CSMB up and running. It was at The Elkhorn Yacht Club that The Celtic Society presented their first concert on Sunday, April 12, 1992 by the Irish singer Michael Black. The group developed several venues in the area, including the “O’James Folk Club” at the Grovemont Theatre in Monterey, before moving “Out of town” and setting up the folk club at the Elkhorn Yacht Club in Moss Landing. Before they could actually afford to book “Major “guests, they had many great “sessions” at the venue, and continued their love of the Celtic traditions.With the setting for sessions gradually moving northwards, with McCarthy's Restaurant ( now The Britannia Arms ) in Aptos succeeding The Elkhorn Yacht Club as the venue, concerts began to be organized in the Santa Cruz area as the most convenient central location for the increasing number of people interested in attending events from the South Bay area. The first of the Santa Cruz concerts took place at The Kuumbwa on Tuesday, December 14th 1993 by Andy Irvine with an opening set by Martin & Jessica Simpson. This was a co-production made possible by the generous financial support, supplementing the meager bank account, by Lisa Eckstrom and Lynda Fotheringham ( R.I.P. ), both of whom continued to help enrich our lives with future co-productions and individual productions. In the early 90’s, Bob Breheney took on the gauntlet of keeping the CSMB name alive, and taking it to new level. He has contracted many great stars to play in our area, and the title CSMB is very much alive today. Recently, the CSMB incorporated in California as a tax-exempt 501(c)(3) non-profit organization and is run by the board members shown below. flourishing, so that the best in traditional music will always find ahome in the Santa Cruz area. Recent retiree Kathy Fieberling became a big fan of Celtic and traditional music in the early 60s as a young teenager, and has attended festivals and concerts ever since. She studied sean nós singing with Irish singer/songwriter Mary McLaughlin and was a member of Mary’s Irish Gaelic choir, Cor Aingli. With years of experience working for a local non-profit, Kathy hopes to lend her skills to the Celtic Society doing PR, development, and event and volunteer coordination. 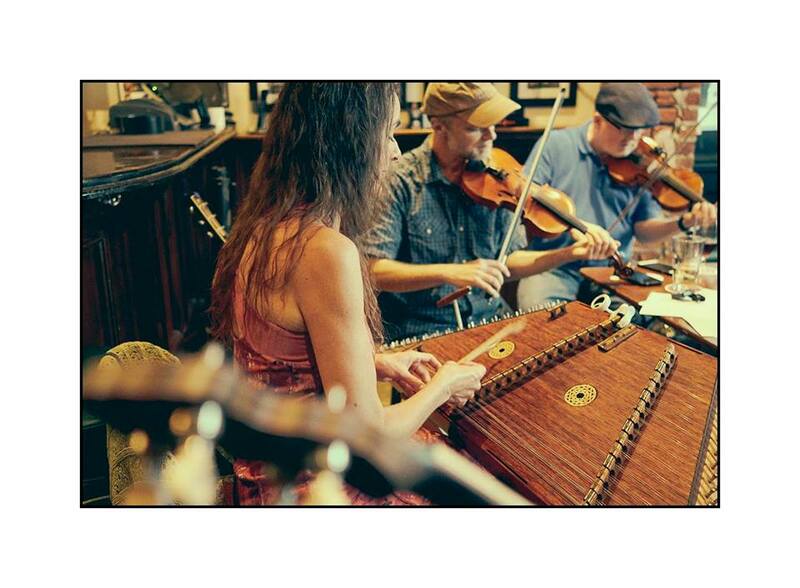 She is most enthusiastic about helping to bring the best of Celtic performers to the Monterey Bay area. Kathy spreads the word about our concerts by sending press releases to the local newspapers and radio stations and is also a member of our Volunteers and Housing Subcommittee. Peter Schwarz got interested in folk music in the 80’s, during his graduate studies in Pittsburgh, PA. 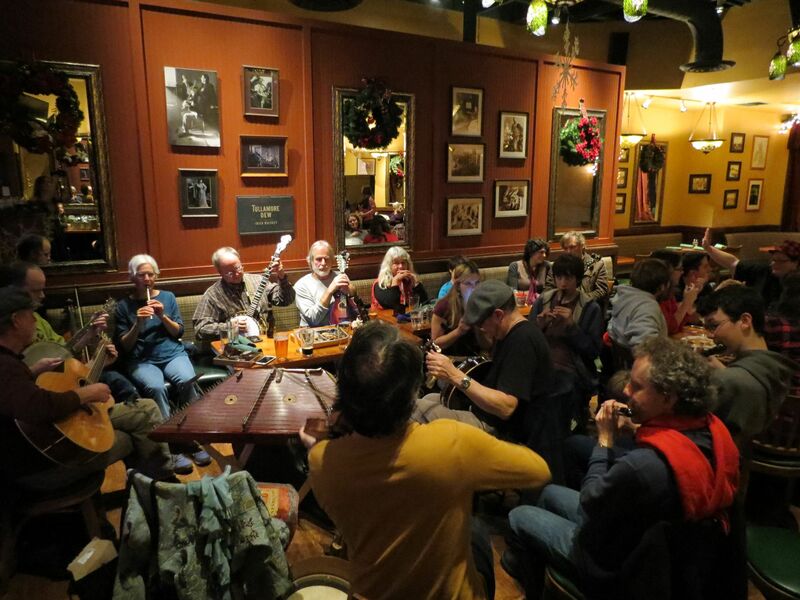 Through concerts hosted by George Balderose at Calliope House, he became a fan of Celtic music, as well as old-time string bands and other forms of acoustic roots music. He also got involved in radio, hosting a folk music program (and a punk music program!) on the Carnegie-Mellon station, WRCT. Upon moving to San Jose in 1985, Peter joined the staff of listener-sponsored radio station KKUP, where he has hosted a program featuring Celtic music and a variety of other forms of folk music ever since, and also serves as Music Director. When not listening to music, Peter works as a Research Staff Member at IBM’s Almaden Research Center. Peter believes we live in a musical “ecosystem”: a synergistic community of performers, audiences, venues, promoters and media that combine to give the Bay Area its vibrant musical scene. By serving on the Board of the Celtic Society of the Monterey Bay, he hopes to help keep this ecosystem thriving for many years to come. Pete Haworth was a founding member of the 501(c)(3) non-profit version of the Celtic Society. Pete has been a music fan most of his life, playing guitar in teenage rock bands in England in the 70's and graduatingto folk muisc in general and Celtic music in particular in the 80's. Along with bagpiper David Brewer, he was a founding member of local Celtic band Molly's Revenge. Pete is now retired and feels busierthan he ever did when he was in full time employment. As the society's concert director, Pete is responsible for booking our performers either directly or though their agents, booking the venues we use and making sure that each of our concerts provides a great experience for our audiences and the performers. Pete also serves as the society's treasurer and web designer. I first became interested in Celtic music after listening to the Dubliners in the 1960’s and was a regular at local folk clubs in the North of England. I have attended many of the Celtic Society shows when Pete and I lived in Sunnyvale. When we moved over to Soquel in 2000 we started hosting house concerts. 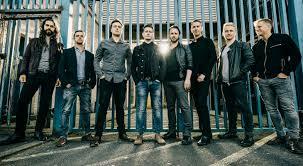 We also offer home stays for many of the visiting musicians and have made many good friends over the years. I am a founding member of the Celtic Society Board, as Secretary and now Membership Secretary. Our membership has almost doubled since we took the Society into a non profit organization. I am an avid gardener and volunteer at the UCSC Arboretum and Botanical Gardens. 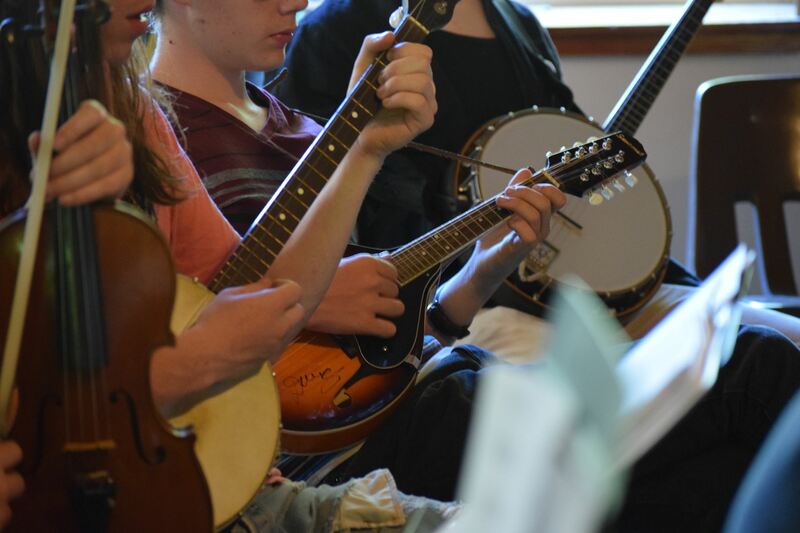 to help in maintaining the Celtic Society’s wonderful selection of traditional bands as well as encourage young performers from Scotland, Ireland and Cape Breton to visit Santa Cruz.